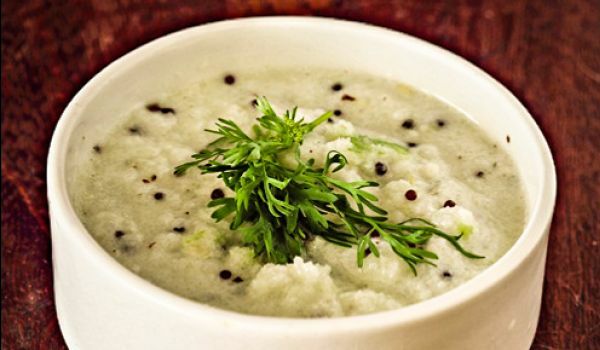 The traditional coconut chutneys, when served with dishes like Idlis and Dosas, result in an amazing combination. The presence of Mustard seeds makes the chutney a lot more tastier. Shred the coconut into small pieces. Fry the red chillies in a small pan. Grind red chillies, coconut, tamarind and salt. Add minimum water. Heat oil in a small pan. Add urad dal, chenna dal, mustard seeds, jeera, red chillies, hing and curry leaves. Add the seasoning to the coconut chutney after mustard seeds start spluttering.